Duck! Rabbit, Duck! is a 1953 Merrie Melodies comedy cartoon, Directed By Chuck Jones, and starring Bugs Bunny, Daffy Duck and Elmer Fudd. It is the sequel to Rabbit Seasoning, and the third (along with Rabbit Fire) and final entry in Jones' "hunting trilogy" (the only major difference in format between this film and the others is that it takes place during the middle of winter). 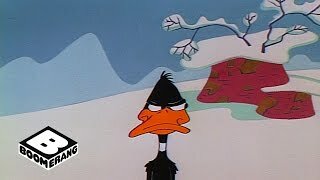 Produced By Eddie Selzer for Warner Bros. Cartoons, Inc., the short was released to theaters in 1953 by Warner Bros. Pictures and is widely considered among Jones' best and most important films. This is the only film in the trilogy where Bugs does not crossdress... Read more at: http://en.wikipedia.org/wiki/Duck!_Rabbit,_Duck! Bugs Bunny - Duck! Rabbit, Duck! http://youtube.com/watch?v=IN5FYhpqqJY Duration - 6:50. - Bugs Bunny - Duck! Rabbit, Duck! Wikipedia Page for: Duck! Rabbit, Duck! Instagram Page for: Duck! Rabbit, Duck! Facebook Page for: Duck! Rabbit, Duck! Twitter Page for: Duck! Rabbit, Duck! Duck! Rabbit! 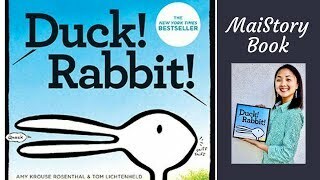 Book Review https://www.commonsensemedia.org/book-reviews/duck-rabbit Simple lines and words, all about seeing things differently. Read Common Sense Media's Duck! Rabbit! review, age rating, and parents guide.